The DuraTronic Transmitter 3 Button is made of a hard black plastic housing and has 3 rubber buttons for code transmission. 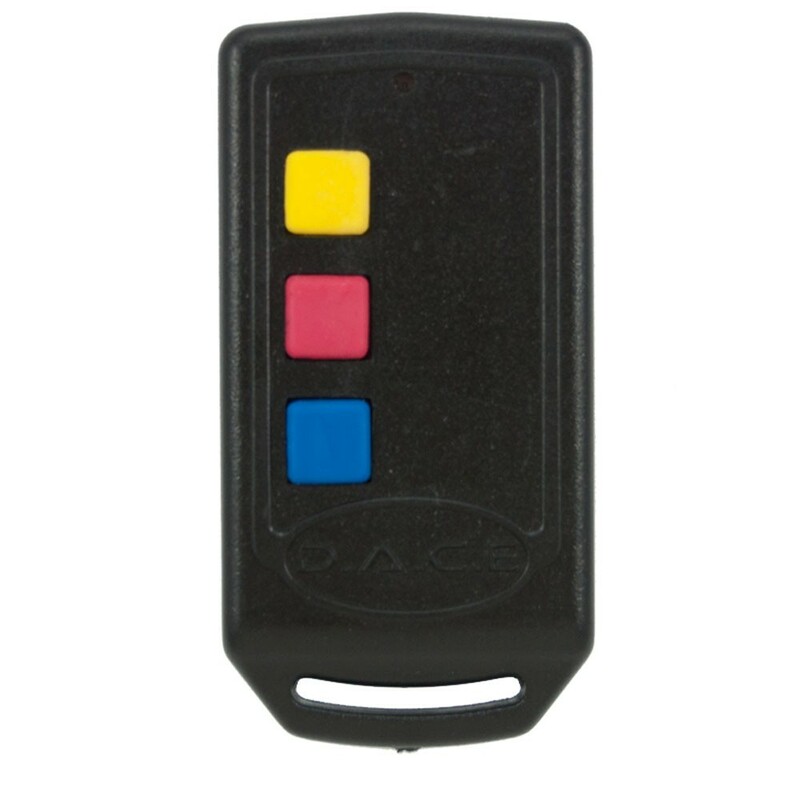 is typically used on DACE products although it is possible to use a DACE remote on other products. This can be done by using a D.A.C.E receiver, in other words one can purchase a matching receiver and connect it to multiple devices such as alarm systems, other brands of gate, garage door motors. D.A.C.E no longer manufacture the old square shaped remotes, however this remote will work as a replacement. Duratronic remotes use rolling code technology which means it is not possible to duplicate this remote code as every time this remote transmits the code changes.